The lighting inside of your home can set the mood in a positive way. If you’re content with your current indoor lighting design, you may feel at peace when you switch on the lights and feel pride in the gentle glow of a light that adds décor and function to the room. However, there are a number of reasons people become dissatisfied with their lighting design and choose to upgrade. You may be dissatisfied with a plain, tired lighting design. Or the lights may be in a position that makes them appear too bright or too dim, rendering them impractical. You might even decide to upgrade to a lighting system that turns on automatically when you enter a room. Whatever reason you choose to upgrade, you should always make sure to hire professional electricians for the job. We’d like to go over a few of the reasons why in today’s post. When you decide to upgrade your lights for either function or design, contact the lighting experts in Newington, CT by calling Electrical Connection, Inc. Learn about Additional Options: When you discuss your vision for indoor lighting with a professional electrician, you may even learn about additional affordable options you hadn’t even considered. This may include art lighting to accentuate your décor or cabinet lighting so you can easily view the items in your kitchen or bathroom. Get the Best Performance Possible: An electrician will make sure your new fixtures are fitted properly for optimal performance. Technicians can even make sure you understand which types of light bulbs to purchase for replacement, so you don’t end up with a fixture that won’t illuminate or dim a room as it is meant to. 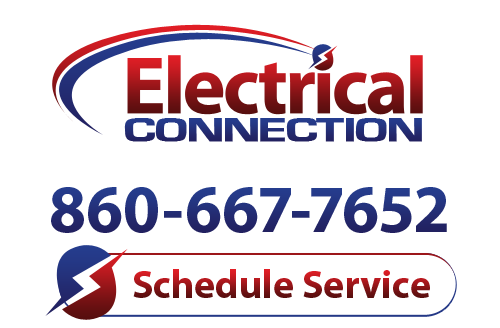 Ensure Your Safety: Finally, choosing an electrician for installation is the best way to ensure the proper safety procedures are followed to protect your home, your power, and your safety. Electrical wiring and installation are jobs that should never be left to an amateur. Make sure you get the lighting design that best suits your needs for practicality and beauty by calling the skilled electricians at Electrical Connection, Inc. to discuss your lighting options in Newington, CT.